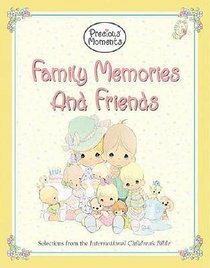 A continuation of the popular Precious Moments Storybook Bible line, this colorful volume combines the fabric of family and friends. Heritage is woven from family memories, and this keepsake provides a means of treasuring those special experiences. Biblical truths are learned with joy in the context of happy remembrances with family and friends, and these form the memories we wish to cherish forever. Divided into three sections-Favorite Family Memories, Favorite Family Friends, and a special section for photos and memories-this keepsake will become a family tradition passed down for generations to come. About "Precious Moments: Family Memories and Friends"
Sam is a devoted father and his artwork is inspired by his family.